The Alamo Buffet features solid pine, multi-step finish on distressed wood, and English dovetail fronts on solid wood drawers. The unique engineered construction adds stability. 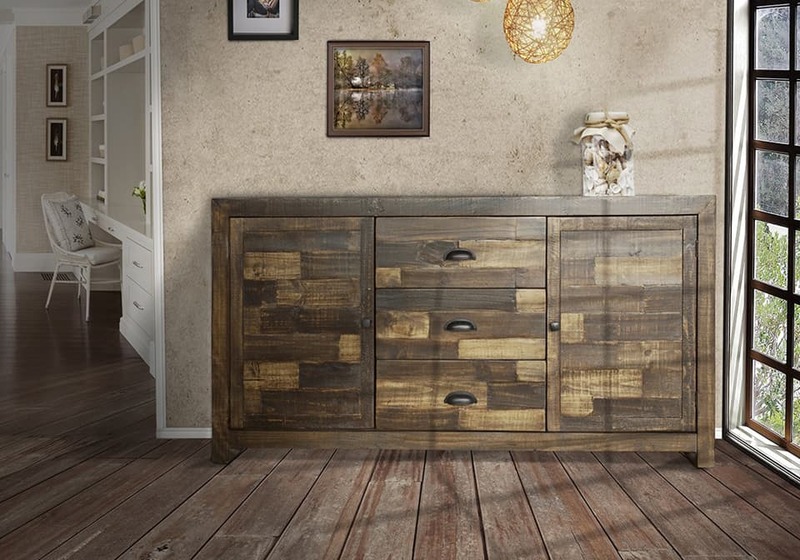 This piece is sure to give your dining room a fresh natural look. The solid wood that makes up the items in this series adds great value. Six step hand rubbed finish gives an antique look and added protection with clear lacquer coating. English dovetailed drawers add durability and ball bearing glides ensure a smooth operation on drawers. This type of joinery has been used for centuries in quality furniture making. Ensures stability and durability on every piece.